Each $148 box contains 10 decks. Each deck contains 81 cards. Each Class Deck box includes 10 decks. 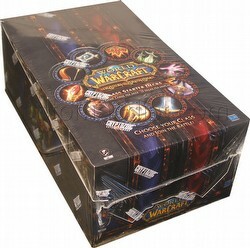 Each deck includes 60 cards, 1 Hero card, a rulebook, a quick start guide, and 1 War of the Elements booster pack. 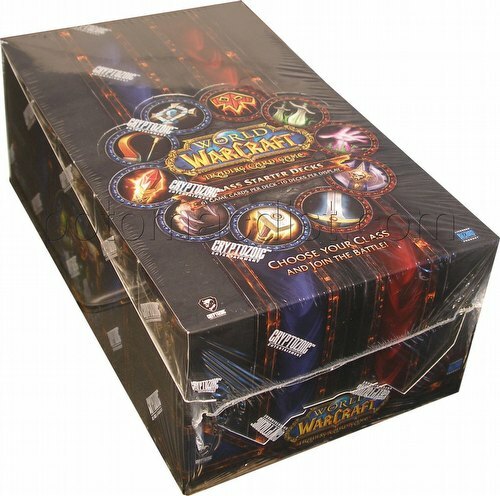 Each box includes 5 Horde decks (Goblin Rogue, Undead Death Knight, Orc Warrior, Blood Elf Warlock, and Tauren Shaman) and 5 Alliance decks (Draenei Priest, Human Paladin, Gnome Mage, Worgen Hunter, and Night Elf Druid). Decks will be labeled with the hero race. 4 common loot cards (Tabard of the Flame, Sandbox Tiger, Papa Hummel's Pet Biscuit, and Paper Flying Machine Kit).